Be sure to download these apps right away since they may only be free for a short time! Once you download a free app, you'll enjoy its free price FOREVER! For example, a paid app that you download today for free will remain free when you re-download it in the future, even if its price has gone back to paid. So, if you think you might ever want a particular free app, even if you don't need it right away, go ahead and download it while it's free, wait 24 hours, and then delete it from your device. You'll always own the app as FREE after that! Read reviews, get customer ratings, see screenshots, and learn more about 100 Famous Audio Stories on the App Store. Download 100 Famous Audio Stories and enjoy it on your iPhone, iPad, and iPod touch. Buzz Words - Learn to spell...with Bees! Read reviews, get customer ratings, see screenshots, and learn more about Buzz Words - Learn to spell...with Bees! on the App Store. Download Buzz Words - Learn to spell...with Bees! and enjoy it on your iPhone, iPad, and iPod touch. Read reviews, get customer ratings, see screenshots, and learn more about Cooties+ on the App Store. Download Cooties+ and enjoy it on your iPhone, iPad, and iPod touch. Read reviews, get customer ratings, see screenshots, and learn more about Learn Spanish Game by EasyTalk on the App Store. Download Learn Spanish Game by EasyTalk and enjoy it on your iPhone, iPad, and iPod touch. Read reviews, get customer ratings, see screenshots, and learn more about Science Quest 5 on the App Store. Download Science Quest 5 and enjoy it on your iPhone, iPad, and iPod touch. Read reviews, get customer ratings, see screenshots, and learn more about States of Matter on the App Store. Download States of Matter and enjoy it on your iPhone, iPad, and iPod touch. Read reviews, get customer ratings, see screenshots, and learn more about Tangaroos - A Tangram Puzzle Game for Fun and Education on the App Store. Download Tangaroos - A Tangram Puzzle Game for Fun and Education and enjoy it on your iPhone, iPad, and iPod touch. Read reviews, get customer ratings, see screenshots, and learn more about Figuromo Kids : Castle on the App Store. Download Figuromo Kids : Castle and enjoy it on your iPhone, iPad, and iPod touch. Read reviews, get customer ratings, see screenshots, and learn more about Figuromo Kids : Owl on the App Store. Download Figuromo Kids : Owl and enjoy it on your iPhone, iPad, and iPod touch. Read reviews, get customer ratings, see screenshots, and learn more about Figuromo Kids : Robot on the App Store. Download Figuromo Kids : Robot and enjoy it on your iPhone, iPad, and iPod touch. Read reviews, get customer ratings, see screenshots, and learn more about Figuromo Kids : Simply Missy on the App Store. Download Figuromo Kids : Simply Missy and enjoy it on your iPhone, iPad, and iPod touch. Read reviews, get customer ratings, see screenshots, and learn more about Recording Pro on the App Store. Download Recording Pro and enjoy it on your iPhone, iPad, and iPod touch. Read reviews, get customer ratings, see screenshots, and learn more about Arloon Geometry on the App Store. Download Arloon Geometry and enjoy it on your iPhone, iPad, and iPod touch. Read reviews, get customer ratings, see screenshots, and learn more about Elements of Chemistry on the App Store. Download Elements of Chemistry and enjoy it on your iPhone, iPad, and iPod touch. Read reviews, get customer ratings, see screenshots, and learn more about Focus on Plant on the App Store. Download Focus on Plant and enjoy it on your iPhone, iPad, and iPod touch. Read reviews, get customer ratings, see screenshots, and learn more about Geometry!! on the App Store. Download Geometry!! and enjoy it on your iPhone, iPad, and iPod touch. Read reviews, get customer ratings, see screenshots, and learn more about Respiratory System on the App Store. Download Respiratory System and enjoy it on your iPhone, iPad, and iPod touch. Read reviews, get customer ratings, see screenshots, and learn more about SolveForX on the App Store. Download SolveForX and enjoy it on your iPhone, iPad, and iPod touch. Read reviews, get customer ratings, see screenshots, and learn more about The Cardiovascular on the App Store. Download The Cardiovascular and enjoy it on your iPhone, iPad, and iPod touch. 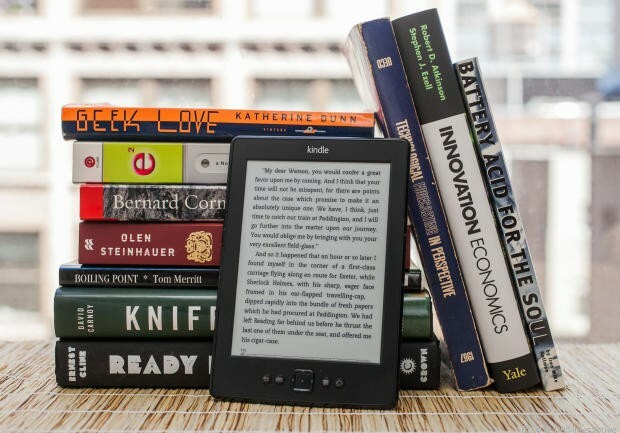 The free iOS Kindle app allows you to load wonderful books on to your iDevice.Just like app developers Amazon offers some books free and on sale each day. Here are a few of the children, teen, and adult free books available today. Unlike iBooks, Amazon prices can change hourly, so grab these quickly before they go back to full price. Born to Win: Find Your Success Code - Kindle edition by Zig Ziglar. Self-Help Kindle eBooks @ Amazon.com. Born to Win: Find Your Success Code - Kindle edition by Zig Ziglar. Download it once and read it on your Kindle device, PC, phones or tablets. Use features like bookmarks, note taking and highlighting while reading Born to Win: Find Your Success Code. Astonished: Recapturing the Wonder, Awe, and Mystery of Life with God - Kindle edition by Mike Erre. Religion & Spirituality Kindle eBooks @ Amazon.com. Astonished: Recapturing the Wonder, Awe, and Mystery of Life with God - Kindle edition by Mike Erre. Download it once and read it on your Kindle device, PC, phones or tablets. Use features like bookmarks, note taking and highlighting while reading Astonished: Recapturing the Wonder, Awe, and Mystery of Life with God. Windows to Our World: Sarah's Journal - Growing Up, Crossing Oceans, Finding Love & Giving Life to 10 Children - Kindle edition by Sarah Janisse Brown. Download it once and read it on your Kindle device, PC, phones or tablets. Use features like bookmarks, note taking and highlighting while reading Windows to Our World: Sarah's Journal - Growing Up, Crossing Oceans, Finding Love & Giving Life to 10 Children. Bedtime story -The Bear Who Could Fly (Kitchi The Bear' Series Book 1) - Kindle edition by Rose Mckey, Maycee Ann Reyes. Children Kindle eBooks @ Amazon.com. Bedtime story -The Bear Who Could Fly (Kitchi The Bear' Series Book 1) - Kindle edition by Rose Mckey, Maycee Ann Reyes. Download it once and read it on your Kindle device, PC, phones or tablets. Use features like bookmarks, note taking and highlighting while reading Bedtime story -The Bear Who Could Fly (Kitchi The Bear' Series Book 1). Being a Blue Angel: Every Kid's Guide to the Blue Angels - Kindle edition by Mark I. Sutherland, Amy C. Sutherland. Children Kindle eBooks @ Amazon.com. Being a Blue Angel: Every Kid's Guide to the Blue Angels - Kindle edition by Mark I. Sutherland, Amy C. Sutherland. Download it once and read it on your Kindle device, PC, phones or tablets. Use features like bookmarks, note taking and highlighting while reading Being a Blue Angel: Every Kid's Guide to the Blue Angels. Diary of an Awkward Kid 1: Amanda Gets Bullied! - Kindle edition by Bolaji O. Children Kindle eBooks @ Amazon.com. Diary of an Awkward Kid 1: Amanda Gets Bullied! - Kindle edition by Bolaji O. Download it once and read it on your Kindle device, PC, phones or tablets. Use features like bookmarks, note taking and highlighting while reading Diary of an Awkward Kid 1: Amanda Gets Bullied!. How to Draw Step-By-Step: With Special Kids (Drawing With Frog Hops) - Kindle edition by Kaylea J. Mangrum. Arts & Photography Kindle eBooks @ Amazon.com. How to Draw Step-By-Step: With Special Kids (Drawing With Frog Hops) - Kindle edition by Kaylea J. Mangrum. Download it once and read it on your Kindle device, PC, phones or tablets. Use features like bookmarks, note taking and highlighting while reading How to Draw Step-By-Step: With Special Kids (Drawing With Frog Hops).